Property in Shanthi Nagar Bangalore presents you a project where you can live a lavishing life and elevate your lifestyle by living in such apartments. Buyers can enjoy and relax in the clubhouse. There is an availability of open space in these residential apartments in Shanthi Nagar Bangalore. And these apartments with open space allows you to relax your mind, body, and soul and also lets you enjoy the fresh air and environment. Every household works or most any household work is not complete without the use of water. 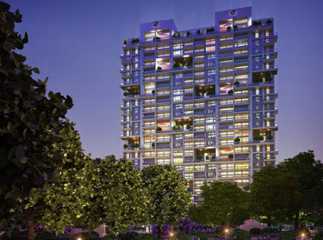 Therefore, the apartments are manned with 24*7 water supply so that there are no disturbances in the household work. Property in Shanthi Nagar gives you a solution to aspiring your dreams of buying apartments. They provide you with the best 3BHK Property in Shanthi Nagar Bangalore with finest designs. These apartments are beautifully designed and have the fascinating architectural designs and best infrastructural designs.